See through the illusions of life and accept nothing other than what your own eyes and gut feelings tell you is the wisest path to take even although we are all brainwashed at an early age to believe the information we are fed. A wild Atlantic salmon is indeed a wild Atlantic salmon and although our species would appear to have done it's very best to ruin this natural God given asset still they come! What a fish it is that can defy the survival odds of in-river life and whatever the ocean can throw at them and still make it home. Sheer & utter respect is the only thought that comes to my mind when I see one of these fine fish and especially the kelts! This week with no fishing guest 'rod pressure' of any significance 7 perfect salmon were landed on the beautiful Dunkeld House beat. Many salmon were posted on Facebook within minutes of capture as hard evidence of a great head of fish that not only the Dunkeld House beat benefitted from but many other Tay beats who had anglers out trying. This is now 'game on' and hopefully this will continue as the old salmon once again re-appears when it decides to! Forget your wrist watches and wall calendars, forget your numbered weeks and your business and family commitments as you're dealing here with a creature who respects none of those modern day society restraints. Through the night, through the day, high water or low water when salmon decide to run then run they will. Up on the River Dee yesterday one of my guided guests landed a perfect 14 pounder on the Invery salmon fishing beat which was his first ever Scottish salmon on day 2 of his first salmon fishing trip to Scotland and the biggest of 4 fine fish landed on Invery yesterday. 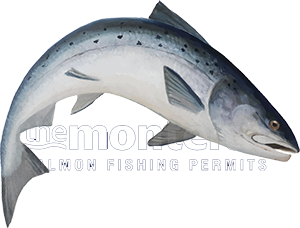 The Tay catch figures this week are speaking for themselves even though it will have been at best a 'very weak' fishing effort so this is a great time to book a ticket and 'blow away' the negativity created of the lack of April & May Springers this year. Leaving the 'glass half empty brigade' is easiest achieved with a buckling fly rod in your hand and a hefty splash some 40 yards away as you chase down the riverbank after a big silvery Summer Atlantean!